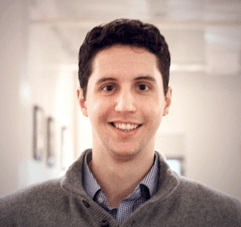 Having recently completed an assignment as a Teach for America high-school mathematics and psychology instructor, Matthew is thrilled to bring his passion for teaching (and 99th-percentile GMAT score) to Manhattan Prep. Matthew was somewhat of a dilettante in college, majoring, at various points, in chemistry, English, acting, communications, and psychology. Fittingly, with graduation looming, Matthew elected to pursue a professional field that had nothing whatsoever to do with any of the subjects he had studied in college: teaching. After being accepted into Teach for America, much to the relief of his family, who were becoming increasingly concerned that he would follow through on his threats to pursue acting as a profession, Matthew (a native New Yorker) moved to Phoenix, AZ to begin his career as a high-school teacher. Matthew’s diverse interests affected his teaching career as much as his academic one. He taught different subjects and grade levels in each of his three years teaching, providing him with a unique instructional background. After three years in the Arizona desert, Matthew made the difficult choice to leave his beloved high-school students behind and return to New York to join the Manhattan Prep team. He is elated to bring his dedication to the success of his students and his enthusiasm for standardized tests into Manhattan Prep’s classrooms. Outside of the classroom, Matthew can usually be found in the gym or the kitchen.